Every spring, my internal panic measure ratchets up as the weather warms. Suddenly, all of the woody plants in my garden seem to need immediate help and I feel pressured to work on each plant. For each of these plants, I have to use my brain as well as my tools. It takes a lot more brain power to prune than simpler tasks like weeding or deadheading. 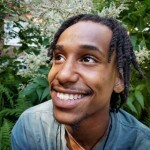 Imagine that – pruning my plants engages my brain as much as my tools! Good news! I am teaching a 2-hour pruning workshop, “Pruning for Healthy Plants,” at Allandale Farm this Saturday, April 15th at 9am and again at 11:30am. I will show my tools and tool belt, then delve into the indispensable thought process that should precede any cutting. Just like you have an end goal when you walk into a hair salon, you should have clear goals and reasoning behind any pruning actions. As we all know, a bad hair cut can really ruin your day! You can register here – hurry up, space is limited! I’ll be teaching four other classes at Allandale Farm on Saturdays this month and next. To see the full listing, check out the events page on Allandale Farm’s website. This entry was posted in Local events, Plants, Pruning and tagged Allandale Farm, Pruning on April 10, 2017 by Christie Dustman. Being a trusted adviser for our clients means taking the time to vet other colleague companies who provide complementary landscape services. Lucky for us, Arborway Tree Care is one of our trusted partners in business. We recently met up with Bob Kelley, Plant Health Care Manager and ISA Certified Arborist at Arborway, to get the inside scoop on the company: their services, company philosophy, and some tips of the trade! Arborway Tree Care is a full-service tree company that has served metro Boston for 40 years. Arborway offers many services that complement CD & Co. These include plant health care, health maintenance and structural shade tree pruning, structural cabling and bracing, crane services, lot clearing, storm damage and stump grinding. Many of our clients use Arborway Tree Care for their disease and pest management services. Bob joined the Arborway team four years ago. 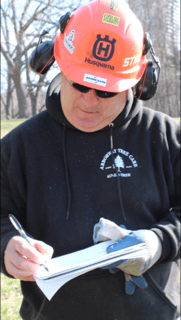 As Plant Health Care Manager and ISA Certified Arborist, Bob wears many hats. In any given week, you can find him doing tree work and plant health care in the field, in the office doing paperwork, or meeting clients. Bob shared that one of the best parts of his job is talking with clients about what’s going on with their trees and why. Educating their customers and thoughtful planning are important to Arborway. Bob said that adequate water uptake is the most pressing issue these days for trees and plants, especially in light of the last three years of drought. In previous years, Bob stressed the importance of watering perennials and shrubs from July 1st to the end of the growing season (typically around the middle of October) in the absence of normal rainfall, but now he stresses the importance of watering all plants. 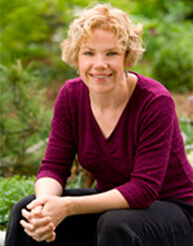 He also advises homeowners to water large shade trees if they are of high value to the property. Bob stresses safety above everything when it comes to trees. It’s crucial that trees are structurally sound, especially in stressful conditions such as drought and storms which can tip the tree into irrevocable failure. Plant Health Care. Bob points out that monitoring and treating plants for pests and diseases is the best way to keep a landscape healthy. What are the biggest challenges facing trees in 2017? Bob anticipates a quantifiably larger rate of tree decline and pest/disease problems after three continuous years of drought. Three is a key number here – healthy trees can survive on stored energy for three years, but any additional stress makes them more susceptible to health issues after that point. Bob also highlighted that the gypsy moth and winter moth hatch in early spring and noted that mid-March to July 1st is Arborway’s busiest time of year. During this short period of time, their Plant Health Care crews apply several different applications before buds break and after leaf emergence including pesticides and fungicides. This entry was posted in Business development, Education, Trees and tagged Arborway Tree Care, Boston tree care, tree care on February 15, 2017 by Christie Dustman. Finding a few qualified candidates to hire out of 7.9 million people can be trickier than you might think. 7.9 MILLION is how many people are currently unemployed in the U.S. according to the Bureau of Labor Statistics. Surely there must be plenty of great horticultural candidates in that huge number. It should be easy to find somebody who wants to work in our industry, right? Think again. When looking for a strong candidate to work with our crew at Christie Dustman & Co., we are looking for a well-rounded individual that has experience, education, passion, and stamina. We don’t think that’s too much to ask for, is it? Well, it can be difficult to find such an individual who doesn’t mind working in all kinds of weather conditions! We took a different approach to hiring this year and tried something new: if we can’t find candidates to match our needs, maybe we can take the candidates we have coming in and train them into the fine gardeners we are looking for! This year, we had two candidates for crew member positions who were eager to get into the landscaping industry but didn’t have the experience or rounded knowledge base that we were looking for. However, both were willing to learn, have a passion for plants and importantly, are likable. Thus, they were high potential candidates, and we let them join the team for a trial period with the crew in the field. On a typical tryout, we have each individual work with each of our crew members to get feedback and see how adaptable and teachable they are. Our new hiring approach has been a great success. If every tryout ended in success we wouldn’t have to have them, but this year we were lucky – we added two new crew members through this process! Welcome to Jhylik and Sarah! This entry was posted in Business development, Education and tagged business development, hiring on October 31, 2016 by Christie Dustman. 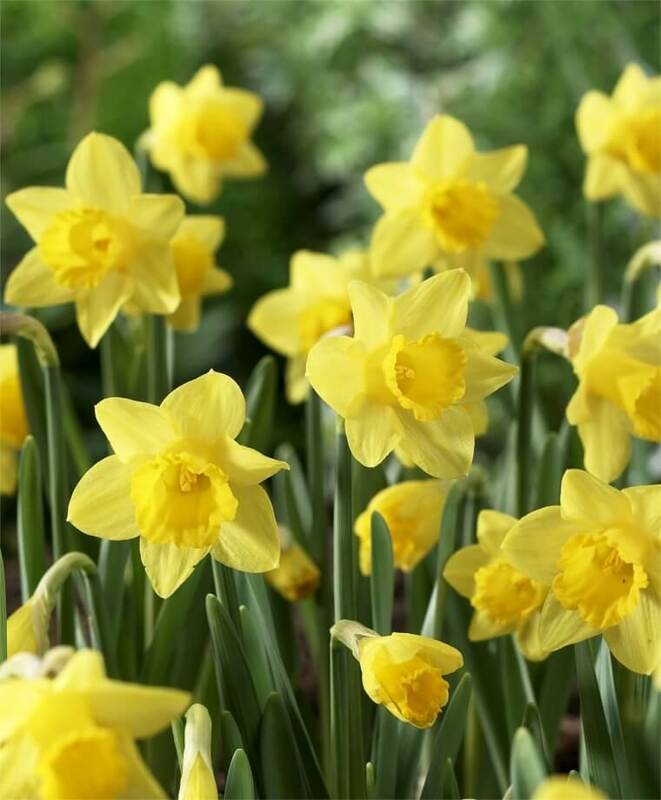 It’s Time to Start Thinking About Bulbs! It’s bulb time! 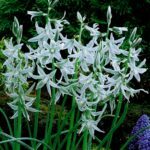 We are planting bulb “overlays” for our Clients’ gardens, meaning that we plan a sequenced bulb display (big or small) and plant them in between your other plants in the garden. 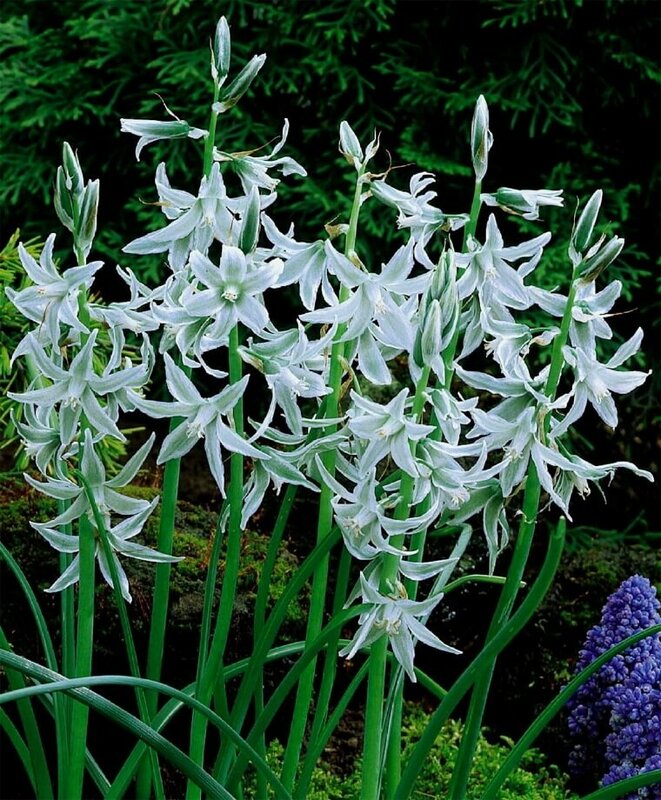 these bulbs bloom from March to May, giving color and interest well before your garden gets into gear. Email or call us by Friday, October 21st if you’re interested in bringing some early spring color to your gardens! I will need to know what you are comfortable spending and with that in mind, I can tell you what to plant and where to plant it for the best impact. This entry was posted in Uncategorized on October 12, 2016 by Christie Dustman. Reflecting on this past summer, one word jumps out – RAIN – or more specifically, the lack of it. It was one of the hottest and driest on record. We added “deep watering” to our garden maintenance regime this past summer and let many hoses trickle on plants at our clients’ homes during this severe drought. Even with hoses and an irrigation system, the lack of rain has been hard on gardens. The poor plants just looked hot and brown! This brings me to my passion: outdoor containers. 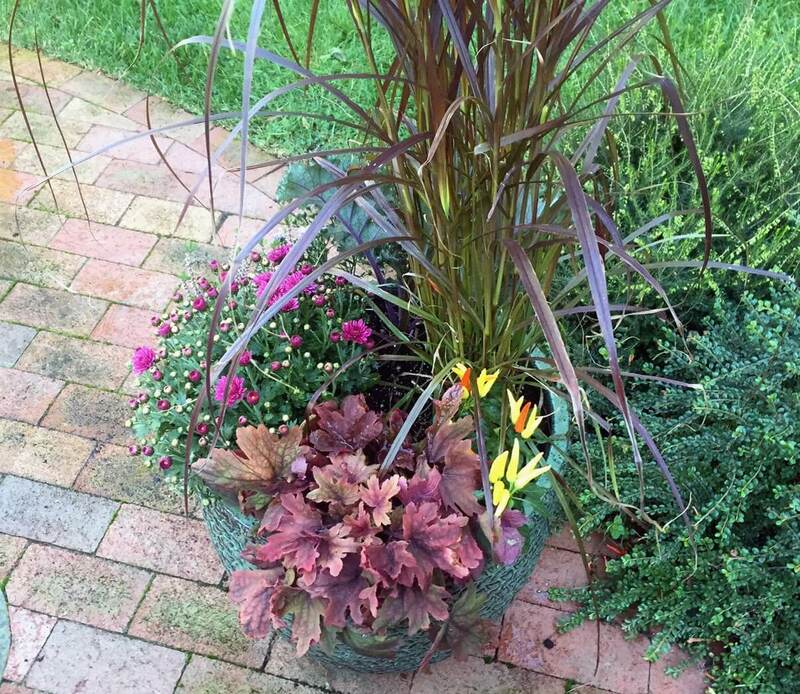 I love that containers are easy to water, require very little water overall – and it doesn’t take much time! Quite different than large gardens! With our fall container season starting this week, I have to say that I’m looking forward to it this year more than ever. I’ve just started replacing summer blooms with flowers reflecting all the colors of the new season: golds, yellows, reds, oranges and purples. It has been a welcome change for all of us. 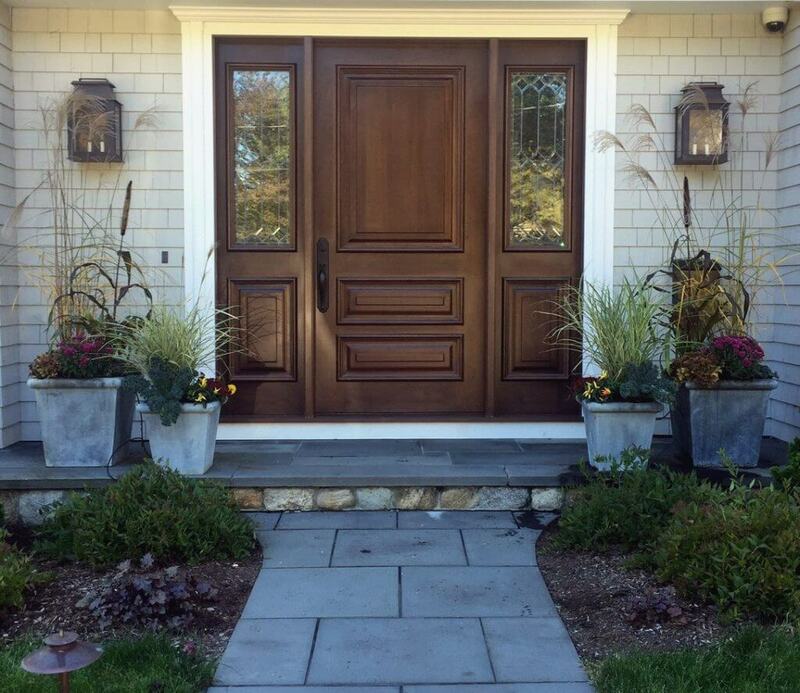 Consider the ease and beauty burst of a container for this fall at your house – I’d love to work with you! 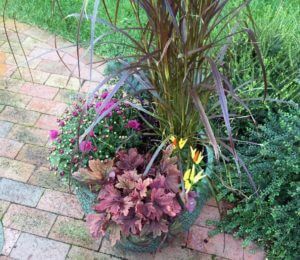 This entry was posted in Containers, Garden Design, Plants on October 6, 2016 by Christie Dustman. 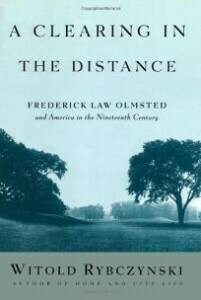 Earlier this year, I had the good fortune of running into a great read, A Clearing in the Distance: Frederick Law Olmsted and America in the Nineteenth Century by Witold Rybczynski. Being new to the horticultural field, I’ve been exposed to a lot of new and exciting things, and while working in and around Greater Boston, one can’t go too long without seeing the name Olmsted. A colleague enlightened me to the fact that Frederick Law Olmsted designed not only Boston’s Emerald Necklace, but also New York City’s Central Park. I immediately thought, “That’s quite an accomplishment!”, but what was more impressive is that those accomplishments turned out to be just a small part of quite a varied and accomplished career. I think we all have a tendency to examine our own lives when we read about another’s life. Like me, I appreciated that Olmsted took his time early on in his career to feel out exactly what his passions and interests were. By taking his time, I mean he traveled the world, started a farm, explored the master gardens of Europe, authored nationwide publications and literature, was a strong voice against slavery and was the precursor to the American Red Cross during the Civil War, amongst other achievements. For me, one of the biggest takeaways from his life and career was his propensity for long term planning. This skill exemplified his intelligence but much more so his immense generosity. To plan something so lasting as the Buffalo, New York Park System or The Biltmore Estate is a deliberate gift to future generations, one that he knowingly wouldn’t be able to fully appreciate in his own time. Imagine a painter or musician crafting a fresco or ballad but never being able to see it or listen to it? What vision indeed! Visiting and working in our client’s gardens is a truly great opportunity and one that I genuinely enjoy. 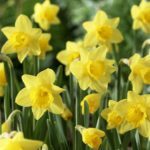 Installing new additions to a garden, pruning and shaping an ornamental tree, or even just editing a garden bed can have quite the long term impact on a garden. Seeing now that I have the ability to leave a more lasting impression than I might have initially realized only further enhances that experience. This entry was posted in Design, Education, Garden Design, Urban environment and tagged Boston outdoors, Boston public parks, Emerald Necklace, Frederick Law Olmsted, urban landscaping on September 16, 2016 by Christie Dustman. One of the hardest “titles” to call myself is an Artist. I struggle to feel like what I do is creative enough, interesting enough, hard enough or just plain “artistic.” I hold artistry as the pinnacle of talents, along with diplomacy and social grace. Sometimes I say things like, “Oh, anyone could do this,” when speaking about my design work and encounter looks of disbelief. 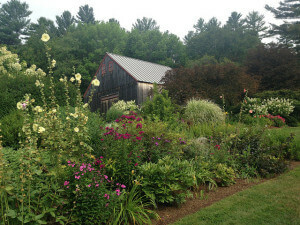 I found myself on the other side of this experience two weeks ago when I led a group of 120 avid gardeners, members of the American Conifer Society, across Southwestern New Hampshire and Southeastern Vermont to tour four personal gardens. 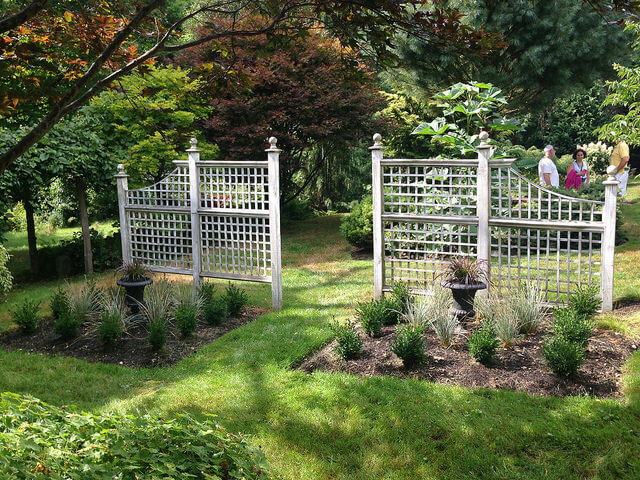 Each garden was unique; it was clear that each of the owners poured their personal inspiration and artistry into their beautiful properties, and each of them was so modest about what they had created. It is this inability of the Artist to see their creations objectively that is so curious to me. 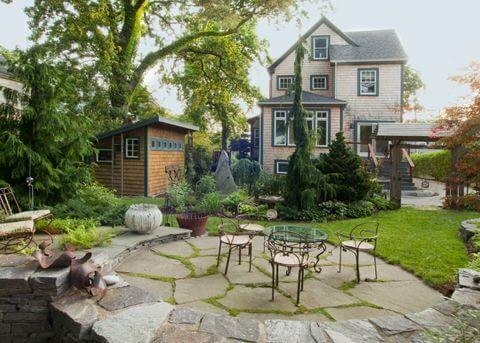 Perhaps when a garden grows out of love of plants, love of land, and love of combining the land, plants, stones, water and wood, that it feels more like a fulfillment of a deep need rather than an artistic endeavor. 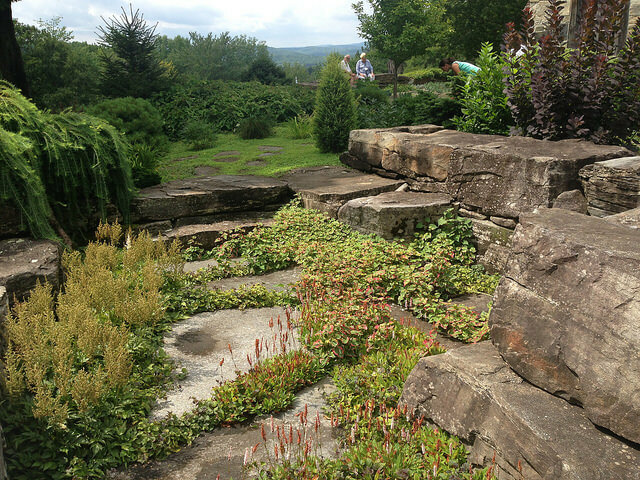 For each of these spectacular gardens, the gardeners who created them made them because they had to—they needed to—and they were so grateful to be appreciated by the wondrous eyes of us, the visitors. Perhaps we allowed them to see themselves as artists for a moment. Grout Hill Farm is a 300-acre property of farm land and gardens which owners Kris Fenderson & Alston Barrett have cultivated for forty-five years. 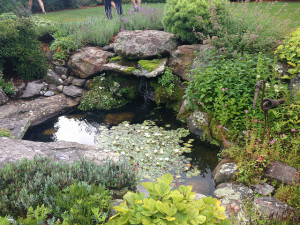 Owned by Michael and Kathy Nerrie, the mission of Distant Hills Garden is to connect people to the natural world by opening their 58 acres of gardens, forest, fields and wetlands, including a floating ‘fens’ Cranberry Bog, to the public each month. 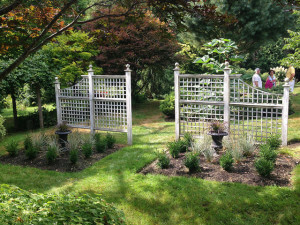 Inspired Garden, the private garden of Marc Hudson, garden designer and owner of a specialty nursery by the same name, was started by his father. The newer areas of the garden boast richly planted garden beds, a waterfall and a parterre garden. Woodland Farms, Susan and Rick Richter’s gardens-in-progress have been evolving for ten years around an oak-and-stone dwelling built to suggest a medieval Anglo-Norman house on 300 acres in Vermont. Exquisitely detailed gardens, buildings and stone complete the design of this small manor farm. This entry was posted in Design, Garden Design and tagged American Conifer Society, Garden Design, Gardening, Inspiration on September 2, 2016 by Christie Dustman. Spiders: Not So Scary After All? SPIDERS! Did a wave of “ewww” just go through your spine? Often maligned and feared, these eight-legged critters should be considered one of our best friends in the garden. 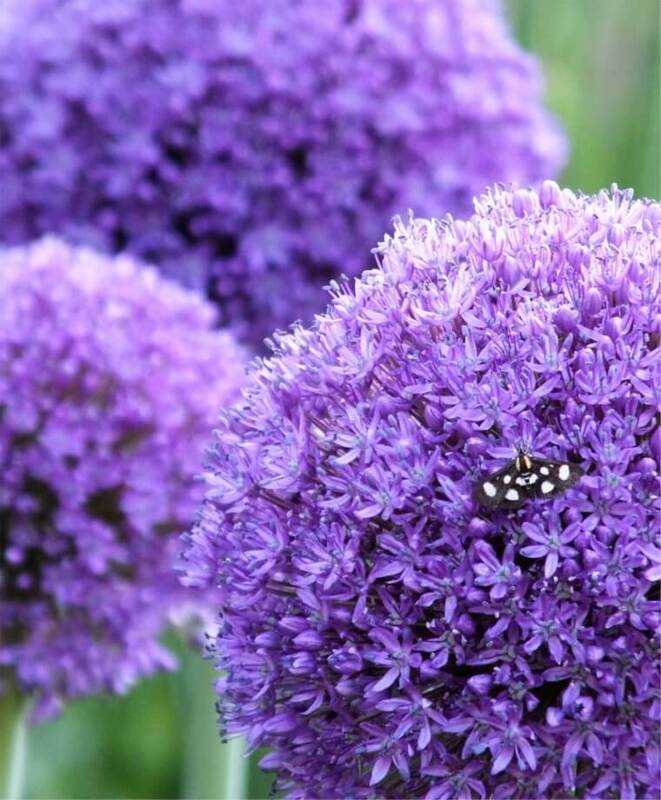 Bottom line: spiders eliminate many insects that harm plants, and they themselves don’t harm plants. Where web-spinning spiders are indiscriminate consumers of any bug unlucky enough to get trapped, common garden spiders such as wolf spiders and jumping spiders live on the ground and tend to be more particular about what they consume. These spiders also don’t seek out prey but will only prey on what comes to them. For example, wolf spiders have the ability to sense vibrations and have sharp vision which allow them to hunt insects by foot. This type of spider lives in underground burrows, often beneath mulch. This makes prey bound to fall into their homes unsuspectingly. 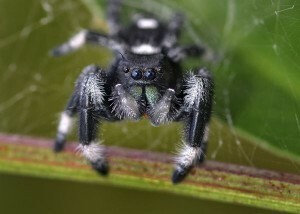 Jumping spiders conversely pounce on their prey and tend to go after small winged insects like flies. If they miss a jump, they have a web-like silk that they can produce in order to tether themselves to a nearby plant or tree. Leaving plant stalks instead of pulling them for winter habitat, as spiders live through even harsh New England winter. They are thus one of the first natural control agents that emerge in the spring. While few of us specifically spray to eliminate spiders, note that it takes a lot more pesticide to kill spiders and these higher levels of pesticide are lethal to other, beneficial insects as well as to us humans! The vast majority of spider species are not poisonous to humans, and here in Massachusetts, only the Black Widow is venomous. So celebrate and praise your spiders! 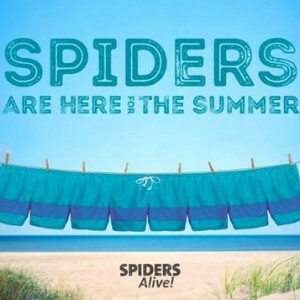 If you want to learn more about them, check out the SPIDERS ALIVE! exhibit at the Boston Museum of Science running through September 6th. You can find more information about the exhibit here. 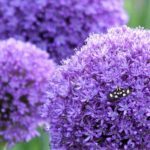 This entry was posted in Education, Four-season interest, Insects & Spiders and tagged biocontrol, Insects, spiders on August 3, 2016 by Christie Dustman. Summer’s wonderful sunny weather is here in full force and we humans love it! But our plants experience summer differently. The Boston area is entering a drought ……… and this follows a winter and spring of low moisture. 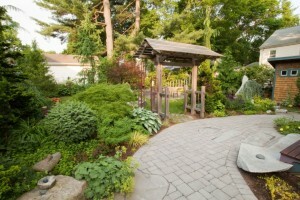 While it occurs to many of us to water the perennials we have, few of us think about our shrubs and trees. Perennials and perhaps the temperamental Blue Mophead Hydrangeas wilt more easily, triggering our compassion. More established shrubs and trees, on the other hand, are stalwart in the face of lack of water though at a more severe point may lose inner leaves or show fall colors out of season. Much like we think to pack water for our kids, we may forget our adult water bottles at home. True confession: Every day when I get home, I pull out my hose and get to work on systematically watering my shrubs and trees. Dinner and the dog can wait. I start in the back left corner and work around my garden 360 degrees. 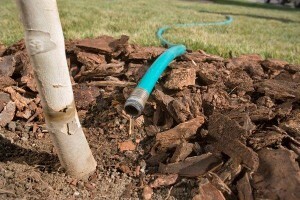 I recommend deep watering for large shrubs (3’ tall+), evergreens (hedges too! ), and trees (smaller and large canopy trees) to get moisture down into the top 18” of soil where the majority of water-absorbing roots are found. The ideal method is the slow-soak method – put your hose at the base of the plant and turn on a low trickle from your hose for ½ -1 hour per plant. For a large shade tree, water on both sides of the trunk, so 2 hours total. The goal is for the water to seep into the ground and not run off. Keep track with a kitchen timer so you don’t forget and leave the hose running. I will be deep watering my larger plants once per week until the natural rainfall comes back – most likely into the fall – and encourage you to do the same. Check out the links below from our friends at the UMass Extension Landscape, Nursery & Urban Forestry and feel free to email me if you have specific questions! 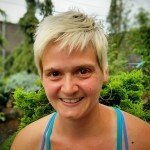 This entry was posted in Conifers, Education, Garden maintenance, Landscape maintenance, Plants and tagged Deep watering, Drought, Landscape maintenance, Watering plants on July 12, 2016 by Christie Dustman. A conifer vignette faces the patio and rear house windows. This entry was posted in Uncategorized on May 25, 2016 by Christie Dustman.